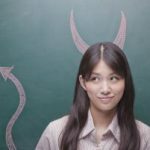 If you're not getting the results you want when sending emails to customers you may be committing one or more of these 7 deadly sins. There are many so-called gurus who will claim that email marketing for your business is dead. Are they right or have they got their facts very wrong? 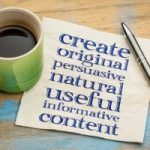 Email marketing is one of the most effective marketing methods.Here are 10 ways to improve your website content to help you grow your email marketing list. Growth and expansion are necessary for a business to survive. There are several ways to grow your audience so you can build your brand, grow an email marketing list and make more sales. Although email marketing trends have changed, email is still the #1 marketing channel. Here are 10 tips to help you ensure that you\'re up to date. You should be building a list of prospects and customers. Holding a contest to expand your email list is an excellent way to accomplish your list-growing goals. 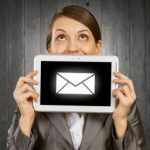 In order to grow your email list, you need a variety of ways through which it can be built and strengthened.Here are 3 proven ways to build a list of genuine prospects. The top priority for every business, whether online or offline, is to continually build a list of emails for marketing. Here are 10 tactics to start using today.